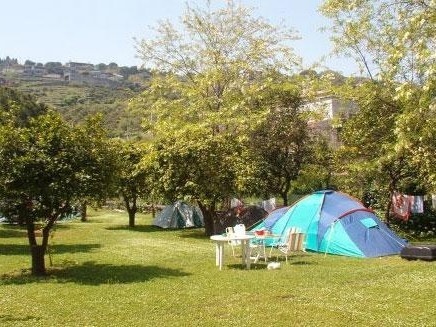 The campsite "La Timpa" is in the heart of a typical scenery on the Ionian coast. It is at the top of a volcanic cliff falling sheer into the Ionian sea. Located in the heart of the unspoiled nature reserve called “La Timpa” and surrounded by wonderful gardens with lemon trees and typical flowers of the Mediterranean sea. Our campsite is in S. Maria La Scala, a small sea village just a few steps from Acireale. It gets its name from the nature reserve “La Timpa” it is part of. A lift allows you to join a private platform on the rock and near the sea. 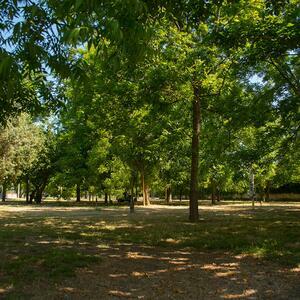 Our campsite is provided with shady areas with power supply (ECC), free hot showers and comfortable caravans which are equipped with all conveniences. In addition to the camping area, the campsite "La Timpa" offers air-conditioned, modern bungalows and apartments with SAT-TV and kitchen. They are so comfortable that they’ll make you feel at home. Both bungalows and apartments are furnished with modern items. You’ll have a pleasant stay in the heart of Mediterranean plant life and on the clear sea of the Ionian coast. What is more, our restaurant which is well known for its excellent cuisine and the interesting cultural and archeological tours make our campsite the ideal place to spend your holidays. It is equipped with minimarket, restaurant-pizzeria, snack-bar, car park, bowling green, free hot showers.